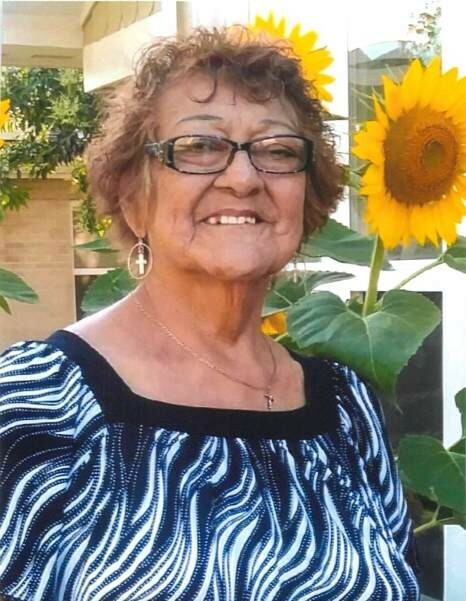 Sofia (Gonzales) Zambrano, 77, of Beeville, died Tuesday, July 17, 2018, at her residence. Mrs. Zambrano was born March 7, 1941, in Nell to Genaro and Manuela C. Gonzales. She married Gregorio Zambrano and was a seamstress and a Catholic. She was preceded in death by her husband, her parents, and three sisters Elida G. Salas, Maria G. Ochoa, and Sipriana G. Olvera. Survivors include a brother, Guadalupe Gonzales Sr. of Nell; and many nieces, nephews, godchildren and a host of friends. Visitation was held from 5 to 9 p.m. Thursday at Treviño Funeral Home with a rosary recited there that evening at 7 o’clock. The funeral Mass was celebrated today (Friday) at 10 a.m. at Our Lady of Victory Catholic Church with Father Luke Thirunelliparambil officiating. Burial followed in Nell Cemetery in Nell. Pallbearers were Guadalupe Gonzales Jr., Guadalupe Gonzales III, Raymond Rios Sr., Raymond Rios Jr., Tristan Mayberry, Isaac James Macias, and JR Yzaguirre.